Buying Selling Real Estate Hagerstown -means major planning and the best strategy to obtain the best results, that is why you need to use the services of a local Realtor, We are the premier resource for all real estate information and services in Hagerstown, and the best of all, we are just a phone call away, if you prefer you can request our Buyer’s Or Seller‘s Guide completely FREE, Buying and Selling Real Estate can be Fun and Profitable! Investing in Real Estate can be the most exciting time of one’s life, make sure you get the best advice. 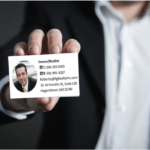 I have a wide-ranging knowledge in the Multifamily home market, commercial and residential properties as well as multi-tenant and single-tenant properties. From most peoples’ standards, I have an extensive knowledge and experience in the multifamily market. I am proud to say that I have marketed and sold residential and Commercial Real Estate. In my time doing this, I have sold over 65 million dollars of real estate in both commercial and residential real estate. My secret is establishing affiliations with a variety of investors. I have many investors who are constantly looking for the best new deal in real estate and I am always by their side helping them to find the finest deal for their money. 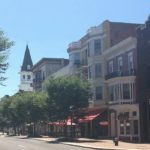 What makes me successful is that I am a 100% customer driven Realtor who is dedicated to both achieving results and providing exceptional service on all of your Hagerstown Commercial real Estate Investments. 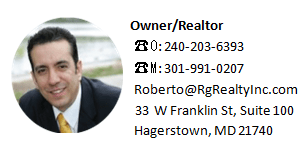 So when you decide that you’d like to buy or sell a Property in the Frederick County, Washington County and surrounding areas, please contact me at 301-991-0207.